I have been thinking about blogging for a while. Years actually. I decided that today was going to be the day to begin. You may want to know what was so special about today. Let me tell you. My husband and I have a passion for many things. Gardening, knitting, blacksmithing, travel, long distance walking, and and and…..the list goes on and on. Our china is mismatched and our stuff can kindly be called ‘eclectic’. On the bright side, you could say that we specialize in collecting diverse experiences. After careers in healthcare and education, our interest in gardening led us to opening a backyard nursery and creating an online store. So what was so special about today? On Christmas eve, we gifted one another with handcrafted joy and I want to share my delight. 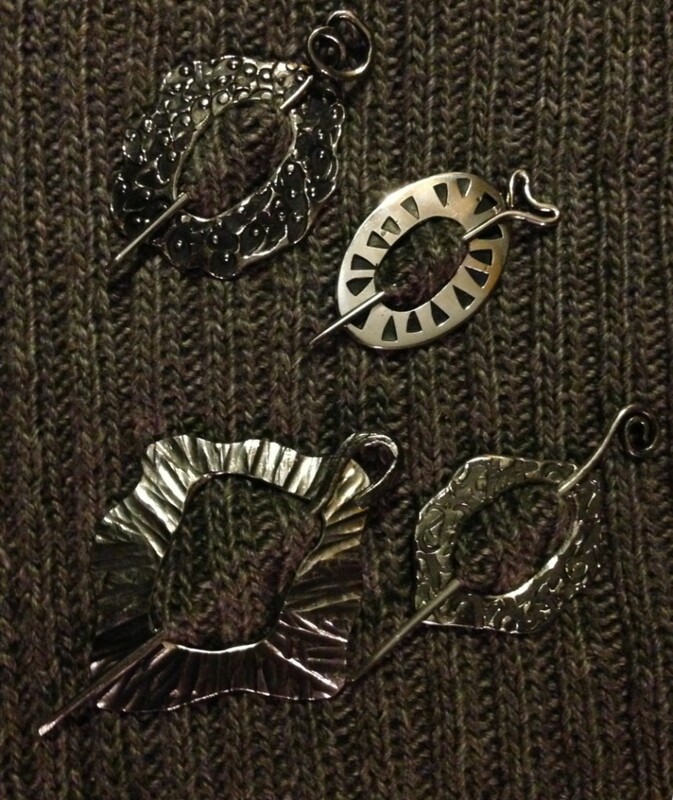 I gave Jeff socks that i knitted and he gave me a set of 4 shawl pins that he had made for me. These pins he had designed himself and made from stainless steel by hammering and shaping in a blacksmith forge. This entry was posted in Blacksmithing, Crafts, Scarf Art and tagged Crafts, Scarf Art, Shawl Pins, Stainless Steel Art by GreenThumbsBelle. Bookmark the permalink.